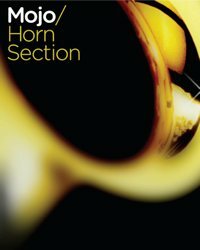 I’ve always been a huge fan of Earth, Wind & Fire, Tower of Power, and the Phenix Horns (the horn section that played with EW&F and also accompanied Phil Collins through the 80’s), so when a chance to work on a virtual instrument of a horn section, I jumped at the chance, and Mojo: Horn Section was born. Recorded at the prestigious Berklee College of Music, Mojo is a collection of twelve instruments commonly used in big band, funk, pop, and soul horn sections: trumpet, trombone, saxes, clarinet, and so on. It has the capability to do both solo and sections of each instrument, and has a huge matrix of available articulations that can be triggered by keyswitching. As soon as Mojo was finished, I started locating all my favorite big band songs, to try and orchestrate them with Mojo. Some of those demos can be heard on the Mojo product page.